Innovating Language Education: An NMC Horizon Project Strategic Brief was commissioned by the newly established Language Flagship Technology Innovation Center (LFTIC) at the University of Hawai‘i at Mānoa — http://lftic.lll.hawaii.edu. The aim of the report is to inform an unprecedented strategic planning effort to devise technology-supported activities and programs for the center, as well as to aid in decision-making and policymaking across the higher education sector. Adams Becker, S., Rodriguez, J.C., Estrada, V. & Davis, A. (2016). 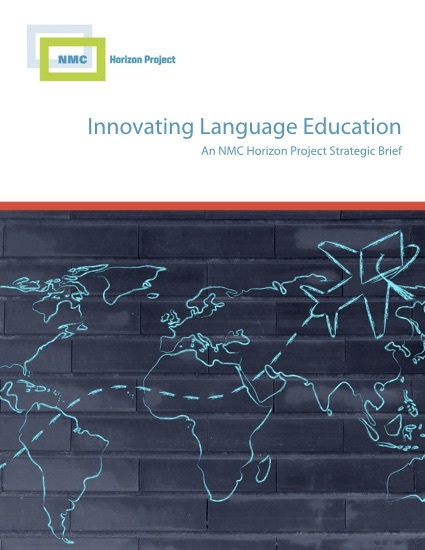 Innovating Language Education: An NMC Horizon Project Strategic Brief . Austin, Texas: The New Media Consortium. (Volume 3.1, February 2016). Retrieved April 23, 2019 from https://www.learntechlib.org/p/171514/.